What better way to spend my upcoming birthday weekend (psssst … the big day is Sunday) than by enjoying some free ice cream at Friendly’s? Woo hoo! So consider this your heads up. 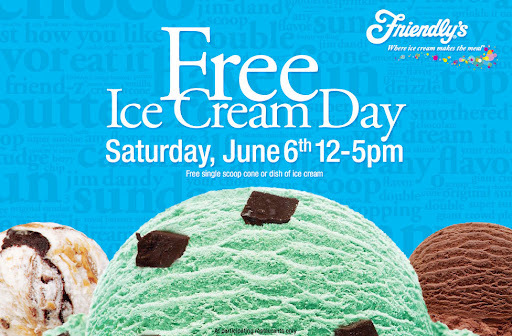 From noon to 5 p.m. this Saturday, Friendly’s is giving out free scoops of ice cream. I’ll be there. Will you?